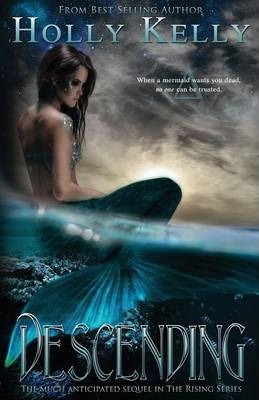 When Xanthus cashes in a long-standing favor, Kyros is faced with doing two things he thought he'd never do-protect a mermaid and live on land. Dagonians loathe mermaids and Sara, Xanthus's wife, is no exception. Also, a Dagonian standing on human legs? As if being around the vile creatures responsible for polluting his home and killing his sister wasn't horrible enough, Kyros has to deal with Sara's troublesome human friend, Gretchen. Kyros can't help but resent Gretchen. Not only is she human and unforgettably gorgeous, but she leaves him swimming in confusion and feeling things he shouldn't be feeling-least of all for a land-walker! When Gretchen is nearly killed by an assassin's bullet, Kyros's mission changes. He's forced to become her protector. Forced is a gross exaggeration, though. The more time Kyros spends with Gretchen, the more he finds himself falling for this spunky, witty human. When it becomes apparent that something dark and evil will stop at nothing to see Gretchen dead, Kyros expends his resources to find out who that being is. Unfortunately, the answer causes more problems than it solves. When a rogue mermaid wants you dead, you're safe from no one... not even the ones you love. I'm a mom who writes books in her spare time: translation--I hide in the bathroom with my laptop and lock the door while the kids destroy the house and smear peanut butter on the walls. I was born in Utah but moved around a bit, living in Kansas, Texas, and Hawaii where I studied marine biology. I'm now back in Utah--happy valley. I'm married to a wonderful husband, James, and we are currently raising 6 rambunctious children. My interests are reading, writing (or course), martial arts, visual arts, creating Halloween props, and spending time with family.